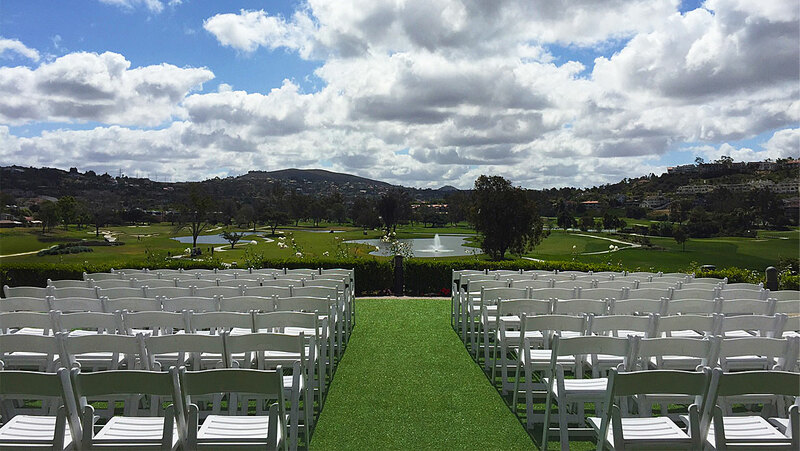 Overflowing with lush landscape, California sunshine and magnificent views, Omni La Costa Resort & Spa offers an idyllic background for your Southern California dream wedding. 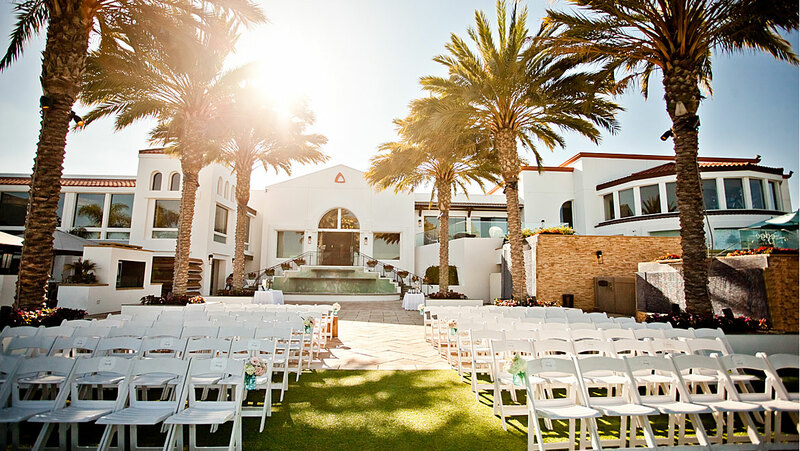 Plan an intimate wedding in the Wedding Courtyard or on the Orchid Terrace with freshly cut fairways and rolling coastal hills. 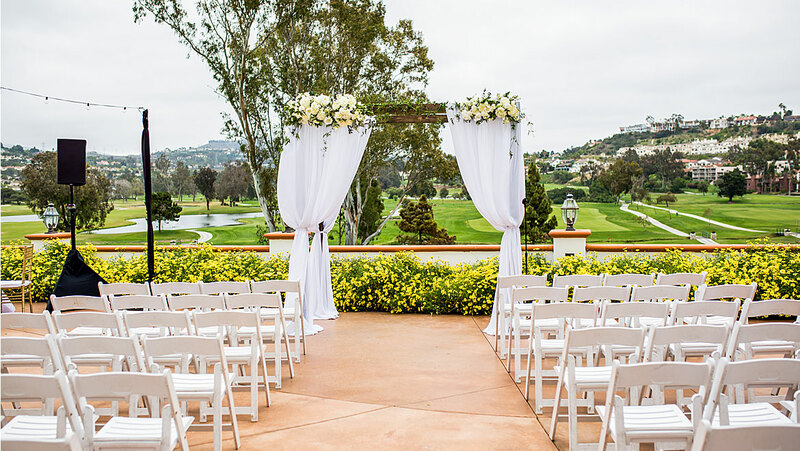 Smile as you make your way down the aisle overlooking a world-class golf course on the Valley Promenade. 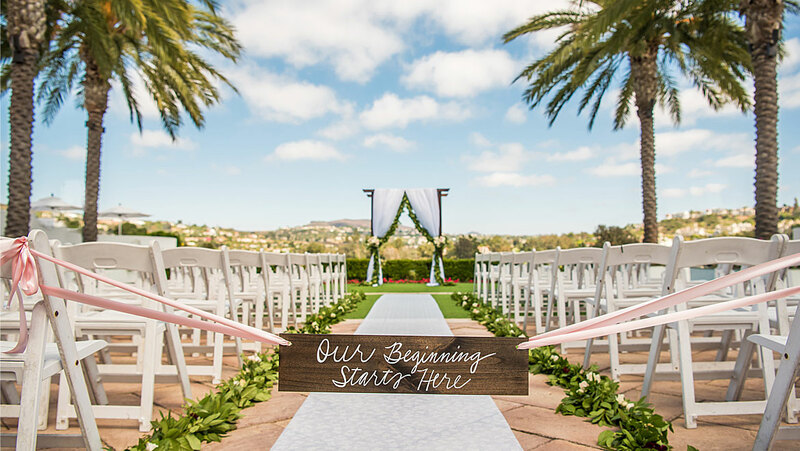 With a variety of indoor and outdoor spaces that can be used for a rehearsal dinner, ceremony or a reception, Omni La Costa Resort & Spa and our professional wedding team is dedicated to creating a memorable day that exceeds your expectations. 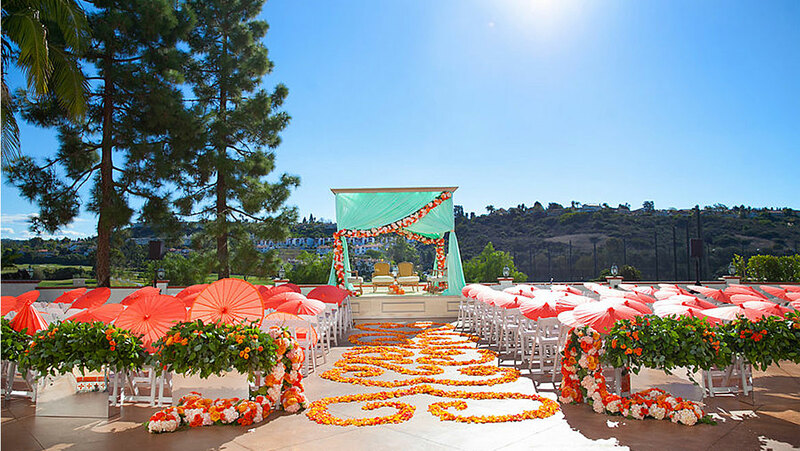 Start planning your dream wedding today. 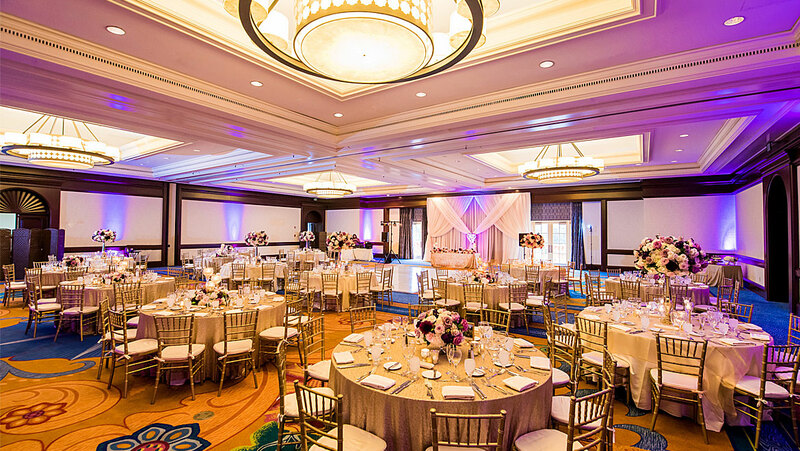 Call our Wedding Specialists at (760) 929-6330 or email at lacostaweddings@omnihotels.com. 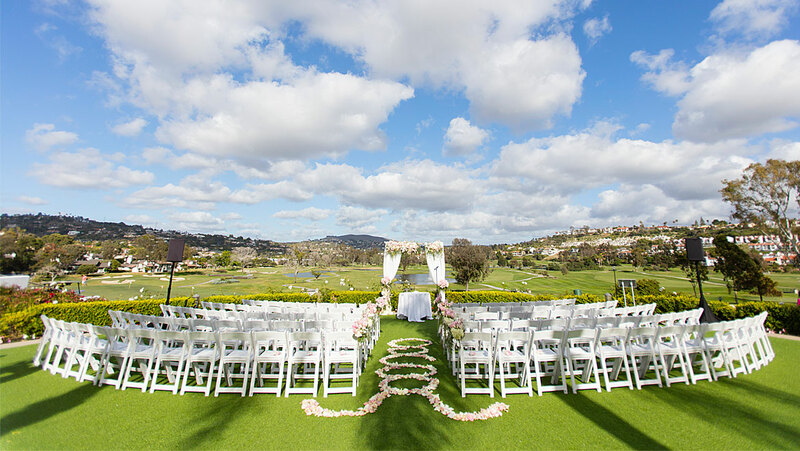 Let stately palm trees create a natural aisle for you and your guests, while enjoying the backdrop of championship golf courses. Square footage: 2,625. 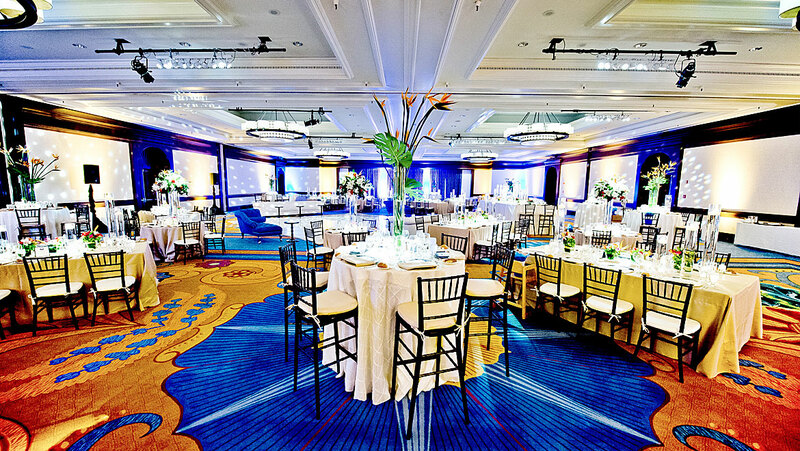 Capacity: 350 guests. 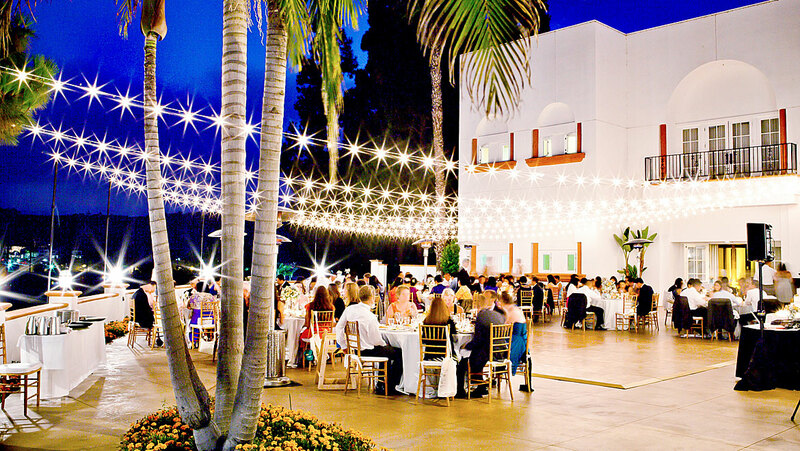 The romantically-lit Spanish courtyard creates a soft open-air ambiance with the bright stars shining above. Square footage: 4,150. 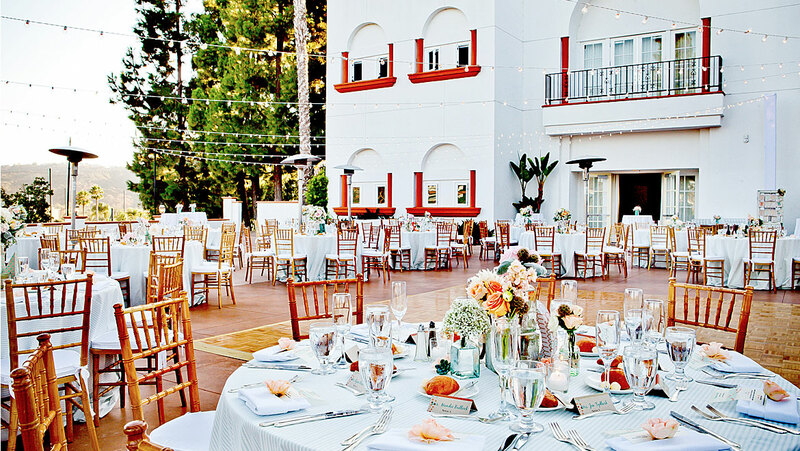 Capacity: 150 guests. 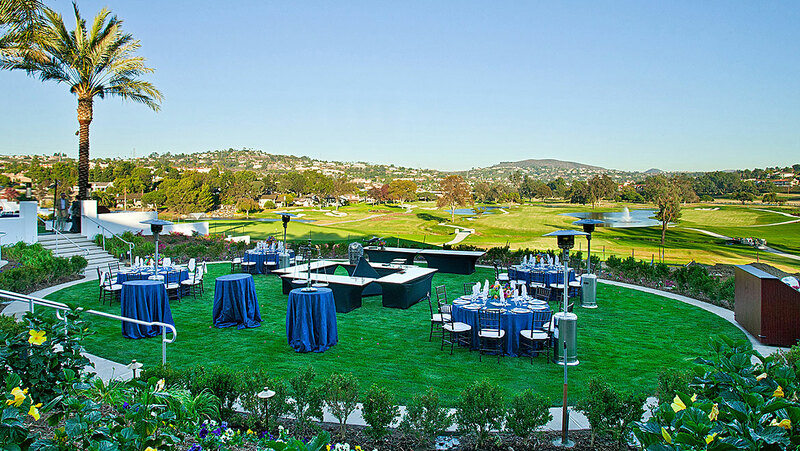 The Legends Lawn provides a spectacular view over eight championship golf holes. 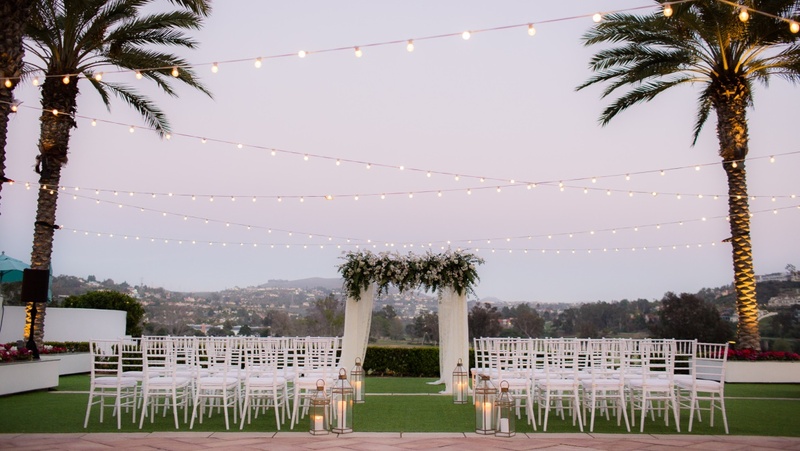 The ideal setting for an intimate ceremony or cocktail hour. Square footage: 1,575. 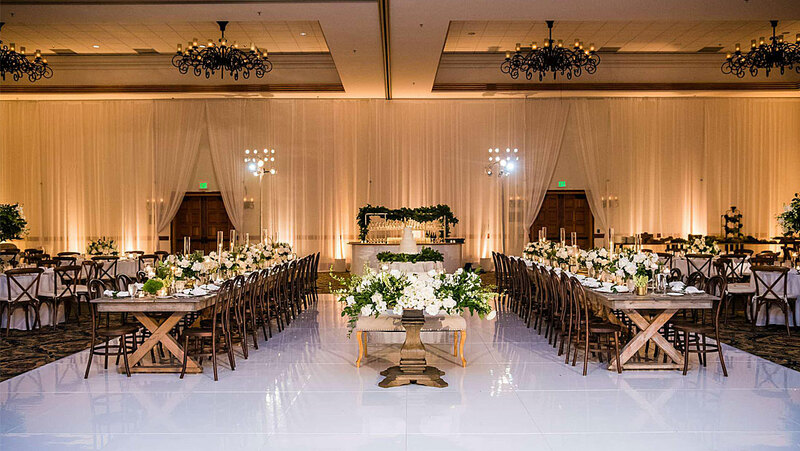 Capacity: 110 guests. 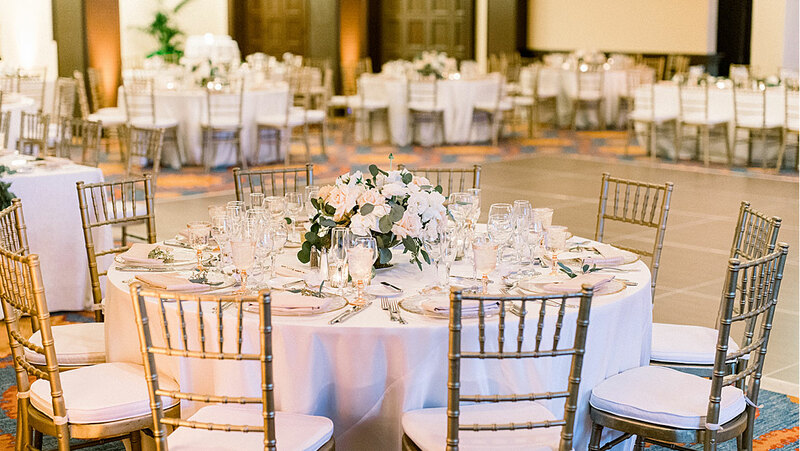 Located in the Main Clubhouse, the Veranda Ballroom features breathtaking golf course views and an attached terrace, a charming setting for your wedding reception. Square footage: 2,950. Capacity: 150 guests. 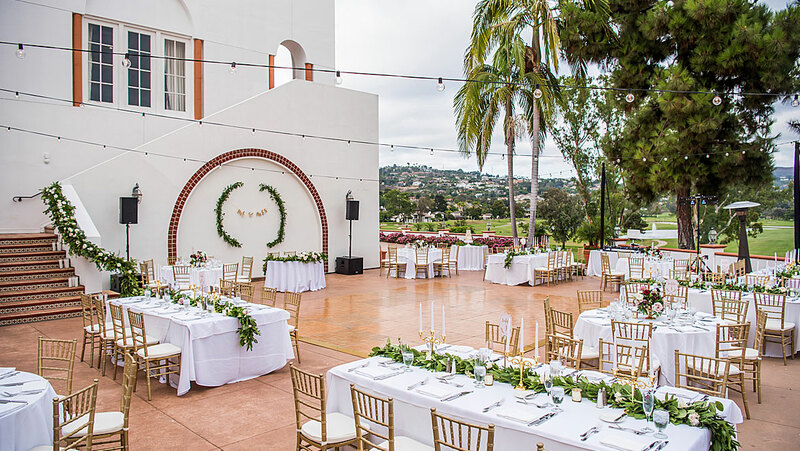 The wedding courtyard provides a crisp, elegant backdrop with romantic lush gardens making it an intimate location for the couple and their loved ones. Square footage: 6,600. 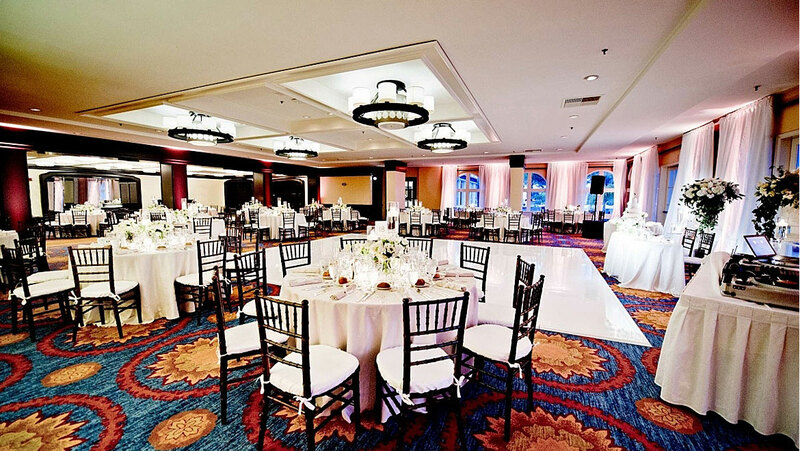 Capacity: 250 guests. 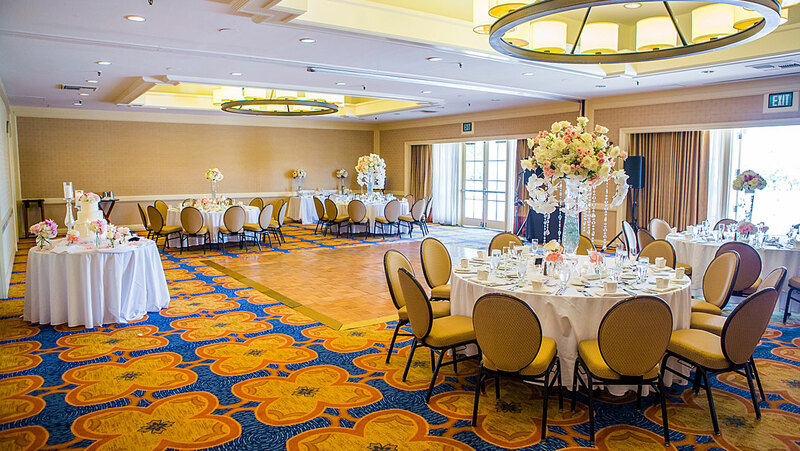 With luxurious interior decor and bright windows, the Poinsettia Ballroom is perfect for a ceremony or reception. Square footage: 8,140. 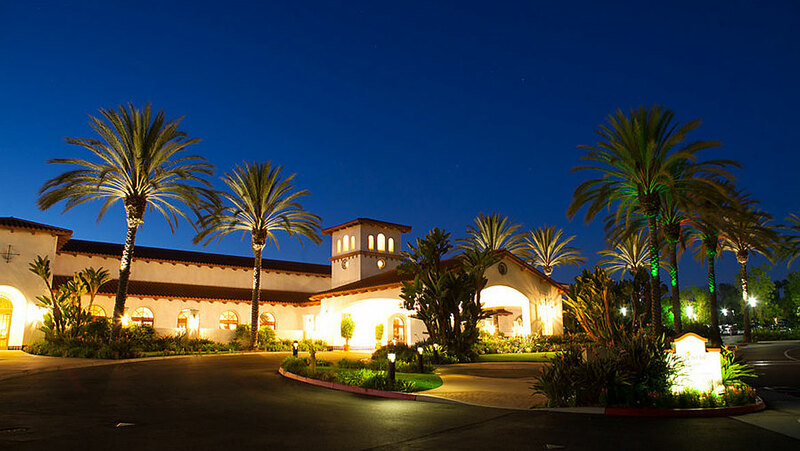 Capacity: 375 guests. 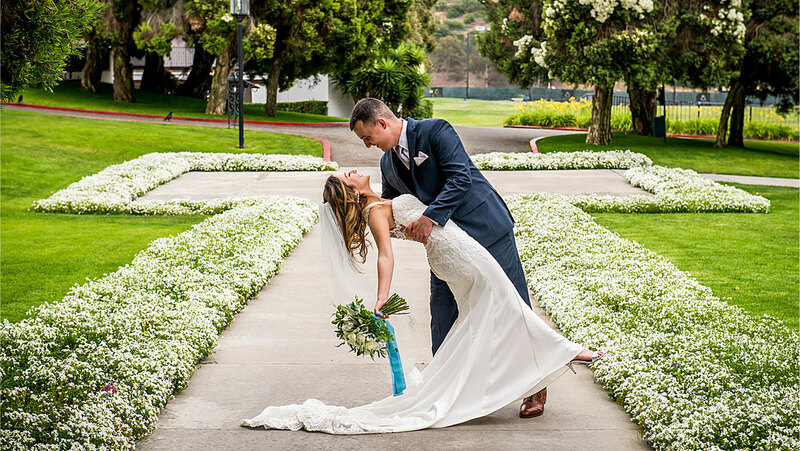 Get swept away onto the beautiful Iris Terrace with panoramic views of our golf courses, water features, and vibrant flowers. Square footage: 2,700. 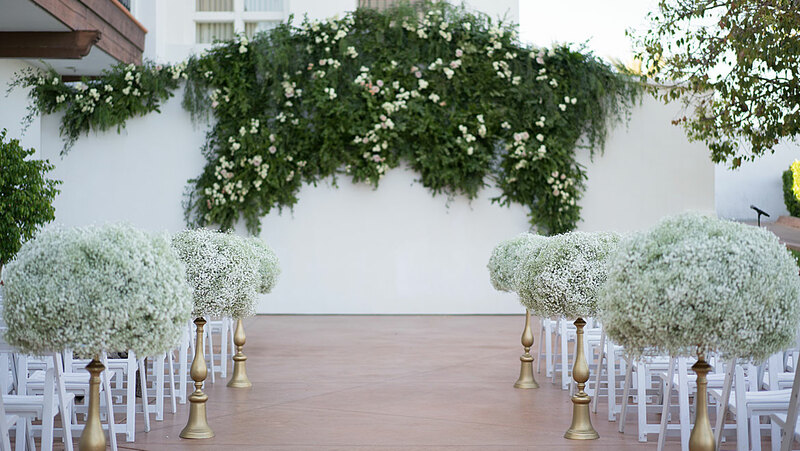 Capacity: 150 guests. 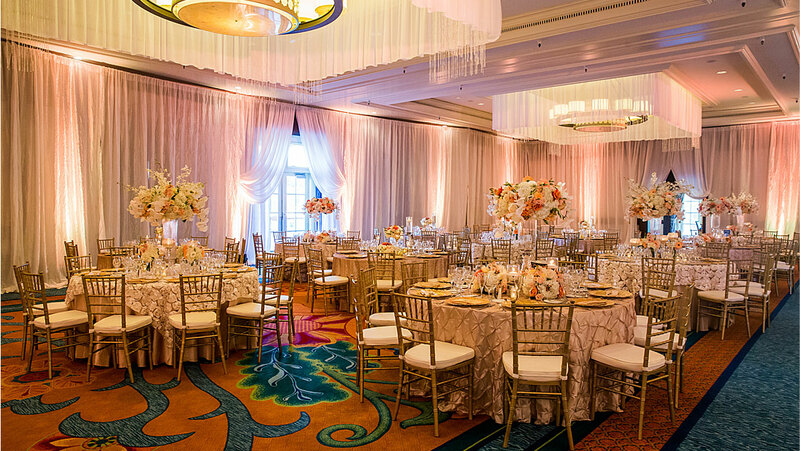 The perfect setting for your grand affair, featuring 18’ ceilings, and striking wrought iron chandeliers. A spacious foyer and private patios complete this unique space. Square footage: 18,000. 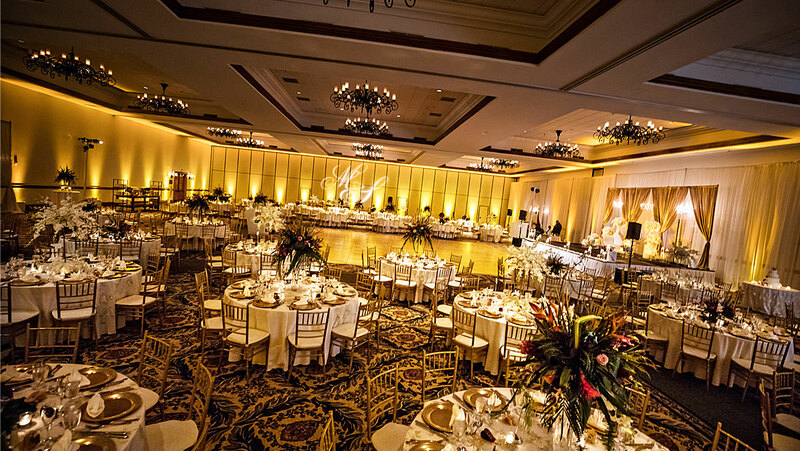 Capacity: 750 guests.